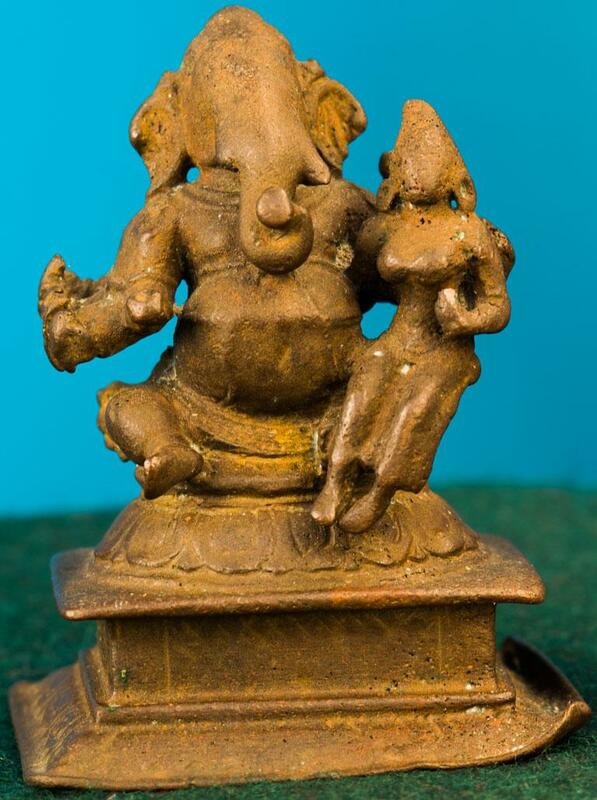 Ganesha is one of the most celebrated and renowned God in Hindu mythology. He is also known as Ganapathy, Vinayaka, Vigneshwara and so forth. In this exhibit the deity has his Devi sitting on his left thigh and is seen embracing her with his arm around her waist. The image has hands holding the tusk. The trunk holds the modaka.